Home » Reviews » How Safe Is It To Use Vaya Africa? The idea of getting into a stranger’s vehicle was unheard of in Zimbabwe a few years ago. Today, ride-sharing services are gradually getting popular and one day they may become an indispensable part of our transportation system. However, is our convenience of booking cars enough to put our lives on the line? On the global scene, crimes committed to passengers and drivers continue to hound ride-hailing companies. A few years ago a woman traveling by Uber in India’s was sexually assaulted, driving down Uber’s and other ride-hailing services popularity. 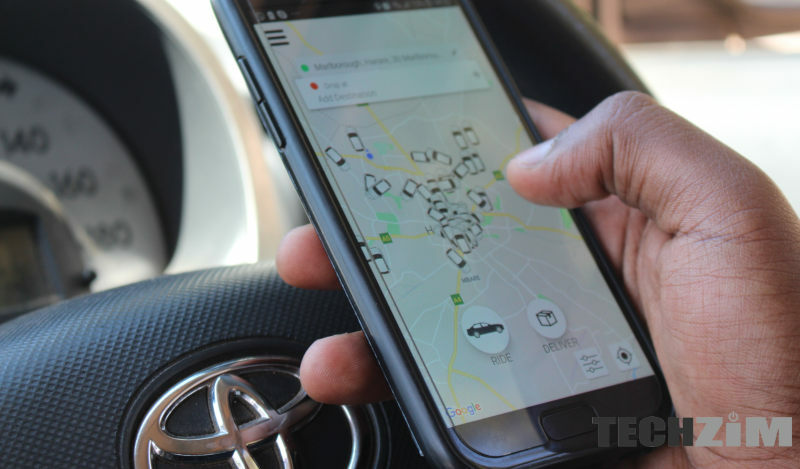 The entrance of Vaya Africa is increasing the awareness of ride-hailing in Zimbabwe. Consequently, the question that’s has been raised is: Is it safe to use Vaya Africa? The verdict as to whether Vaya Africa is safe or not is for you to give. However, I will just list and explain the safety measures Vaya Africa has in store for you to ensure that you will complete your ride safely. Here, I’m talking about the driver’s behavior and driving capability and the quality of his or her vehicle. Before entering service, Vaya Africa drivers complete a background check to see if they are not a threat to people’s safety (maybe they will be alcoholics). Vaya Africa says,“all drivers undergo a strict vetting process before being approved to take ride requests”. In addition, drivers must also have their vehicles inspected prior to entering service. That is, the car is checked if its ‘road worthy’. Before you even hop in a Vaya Africa vehicle, you can see the driver’s facial picture and the license plate number of their vehicle on your Vaya Africa app. That way you can share the license plate number (before you start your ride) with your next of kin in case something happens during your ride. If your driver arrives in a vehicle with a license plate number different than what your app confirmed, then it’s a given that something is fishy. After hopping, the Vaya Africa app lets you share your “ trip status with your friends and family so they can follow your route and know where you are” (the last time you were in the Vaya Africa vehicle). Should anything happen during your trip/journey/ride, it won’t be too hard to trace you. The Vaya Africa app has a ‘Panic Button’ that lets you to contact a maximum 5 contacts in case of an emergency during a ride. If you add this feature with the one above, there will be multiple sets of eyes on each ride ‘watching’ over you. In S.A, there is a problem where people request for an Uber/Taxify using cash then rob the driver. Safety is a two way street, are the drivers safe? Hey Techzim, you were big promoters of bitcoin and Golix and featured them a lot when it was rising. Just wondering why you don’t report anymore? Bitcoin lost 40% of its value in 5 days and nothing from you? No more Golix updates? Think it’s only right you continue coverage since you got a good number of readers [myself included] interested [read invested] in both. The issue of safety is tricky. Honestly a service cannot rely on “friends and relatives” to “check on you”. This is a huge flaw. Assuming you use the service daily, maybe more than twice daily, these people have to keep checking on you? Maybe I am missing something here but a service must be “foolproof” without these additional “eyes”. On the issue of checking the vehicle thoroughly, I strongly doubt an Econet baby will do this. Yes vaya is under Smartech but the culture they adopted from Econet, of profiteering at the expense of service delivery, will not go anywhere soon.